Protect yourself! Hire a Florida State certified and licensed contractor! All buildings are architect certified and engineered to meet the stringent Florida Building Code. 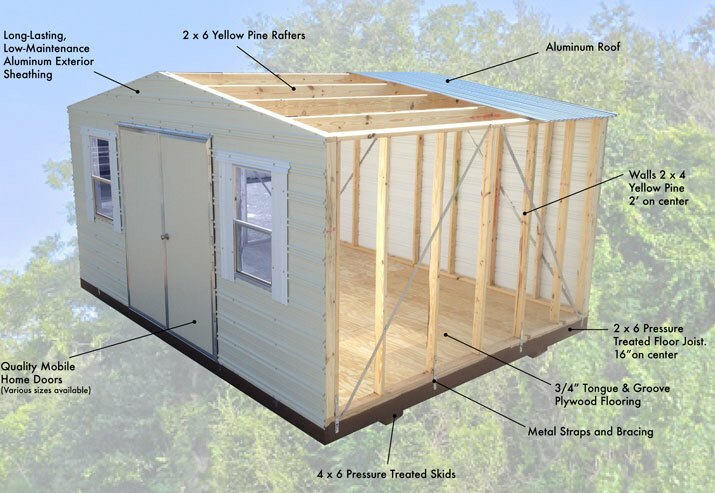 At Advantage Portable Buildings we use only the highest quality building materials to construct your portable storage unit. Each unit is constructed either on-site, or in our facility by highly qualified and expereienced craftsmen to meet your desired specifications. Fort Walton Beach, FL, 32547.